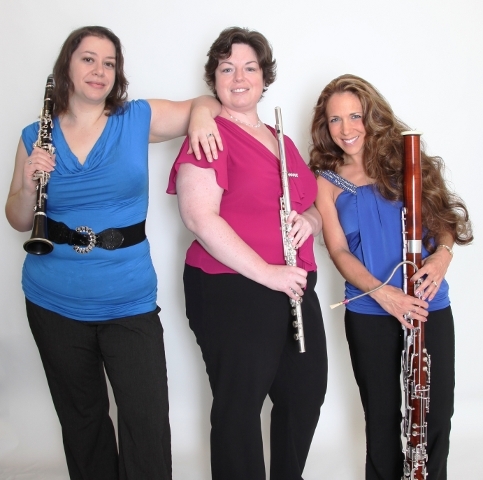 The Fortunata Trio - Alicia Kosack, flute; Laura Armstrong, clarinet; Kimberly Buchar Nolet, bassoon - celebrate the joy and good fortune of performing chamber music as good friends and strive to promote this unusual medium. They have performed recitals at Dickinson and York Colleges and have also performed at the National Flute Association's convention in New Orleans in August of 2013. The Fortunata Trio presents unique programs that have recently featured works by women composers, Latin American composers, and a variety of 20th century and classical composers. They are available for concerts, special events, and educational programs.